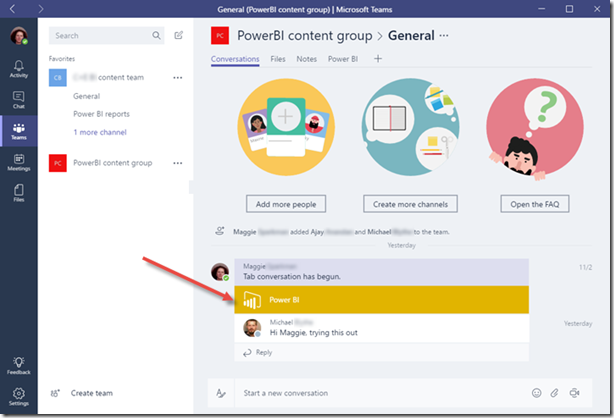 If you're an admin for a Power BI group, when you create a team in Microsoft Teams, the app suggests that you add Microsoft Teams functionality to your existing group. 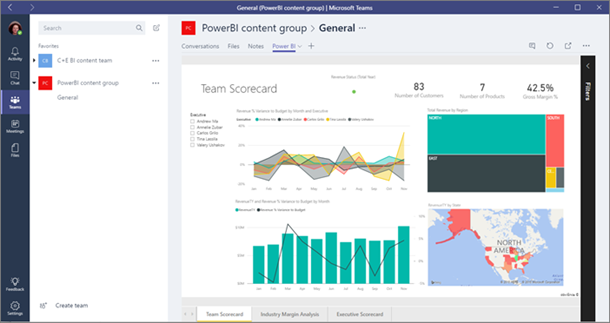 If your team isn't taking advantage of groups in Power BI yet, now is a great time to try them. 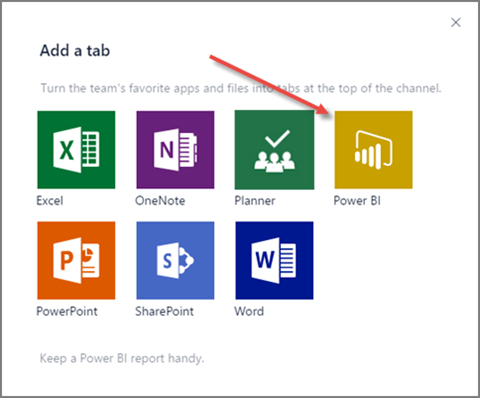 They're a great way to share your dashboards, reports, and datasets with your coworkers. 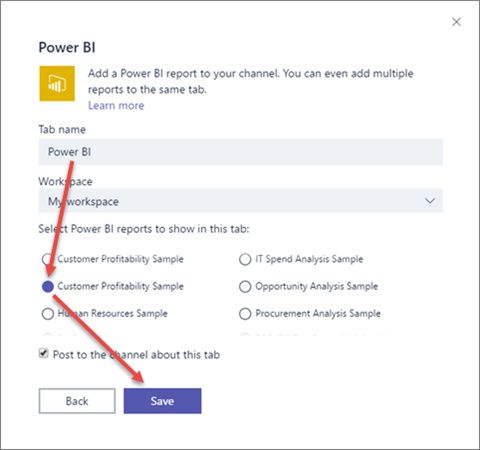 Read more about groups in Power BI.